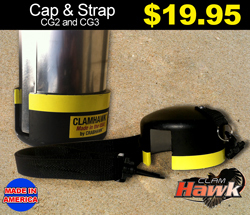 The Clam Hawk CG5 is constructed using thin but strong quality stainless steel. 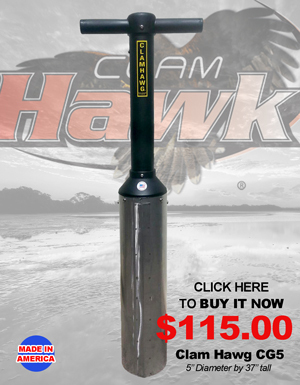 The barrel is 5″ in diameter by 37″ tall. 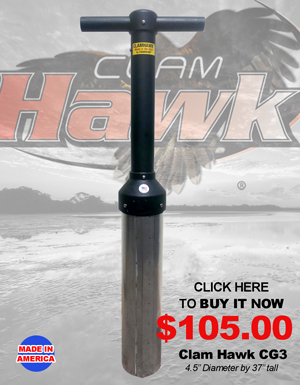 Made with a hybrid Sch 40 PVC handle and 22 gauge 304 stainless steel tube. Smooth gun. A back saver for sure!